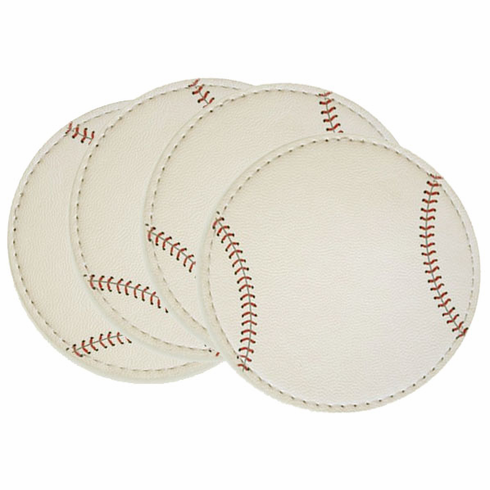 This set of four baseball coasters is perfect for any baseball fan! Each lightweight coaster is covered on both sides with the baseball material, and is easy to clean and fun to use. These coasters fit easily into pockets, purses, fanny packs and backpacks. Made with authentic baseball material - a really high quality synthetic leather that is durable and soft...very realistic looking and feeling. Printed stitches on one side of each coaster. Each coaster measures appx. 3 1/2" in diameter x 1/4".